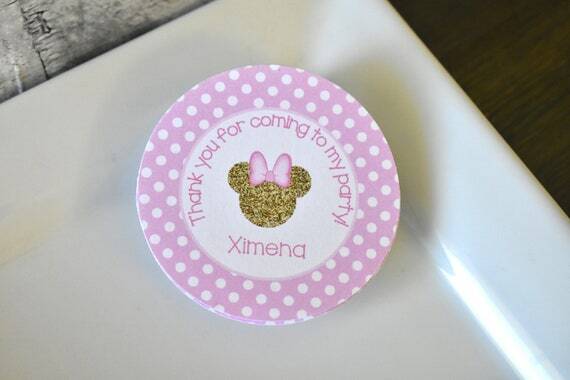 Celebrate your little girl's birthday with these Minnie Mouse birthday party sticker labels. Personalize with the child's name. Colors are Light pink and Gold. Please not gold glitter is not actual glitter. It is printed on. • Each circle is 2".